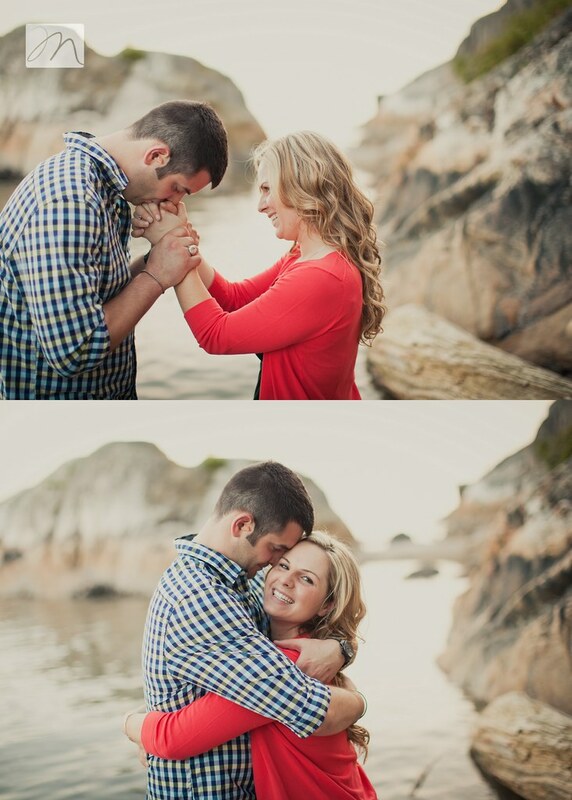 We ended the session just how it started, with warm hugs and excitement for what is to come. 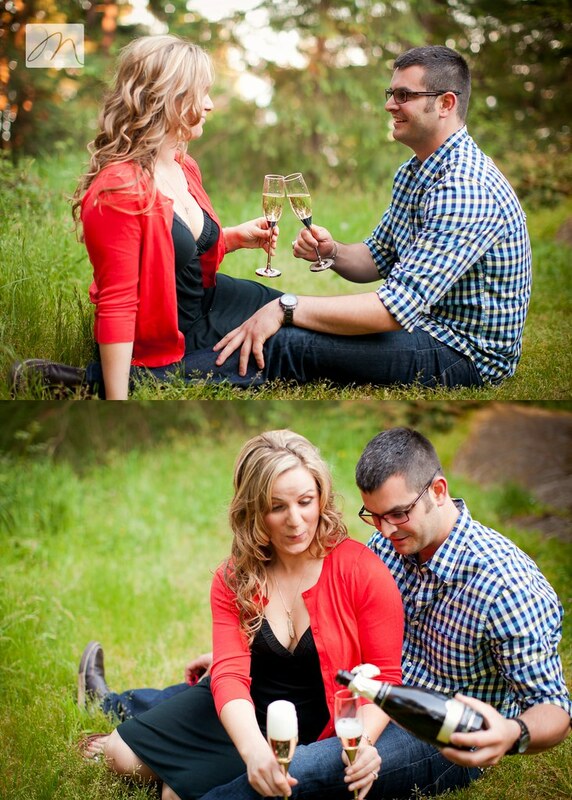 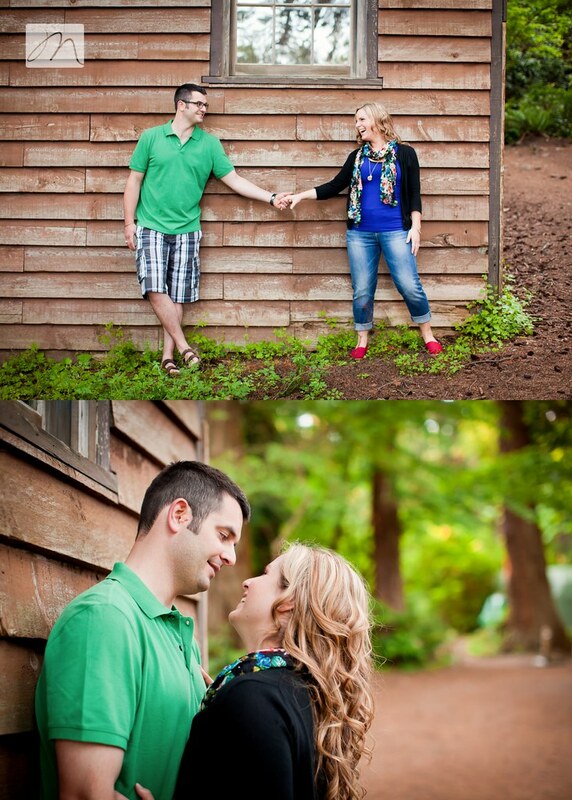 I am absolutely nuts for this couple. 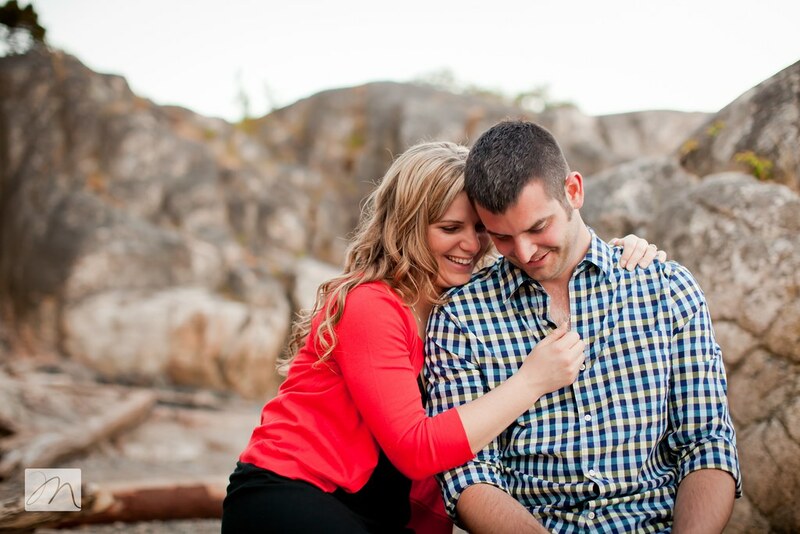 Leigh-Ann and I had our phone consult several months back and I hung up gushing to Steve about how sweet she was. 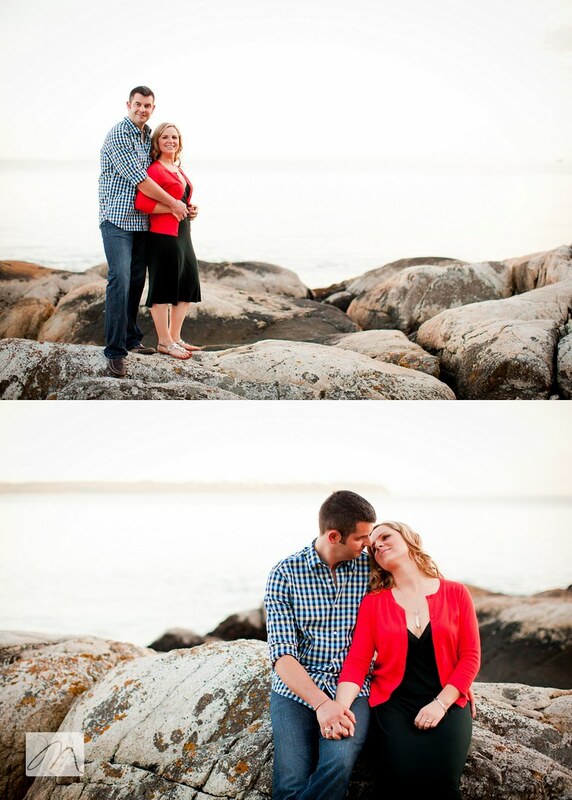 She regularly leaves encouraging comments on my blog, and when we finally met in person a couple weeks ago she bounded up to us brimming with joy and welcome. 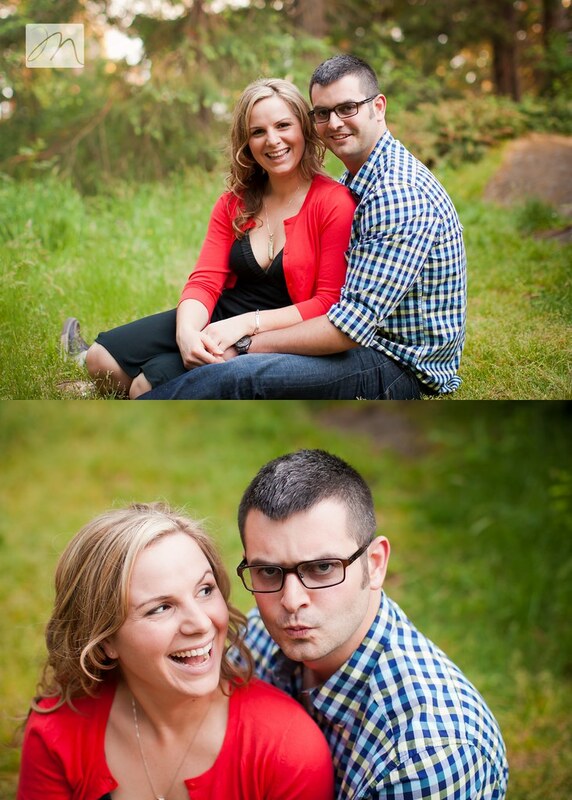 And then there's her man. 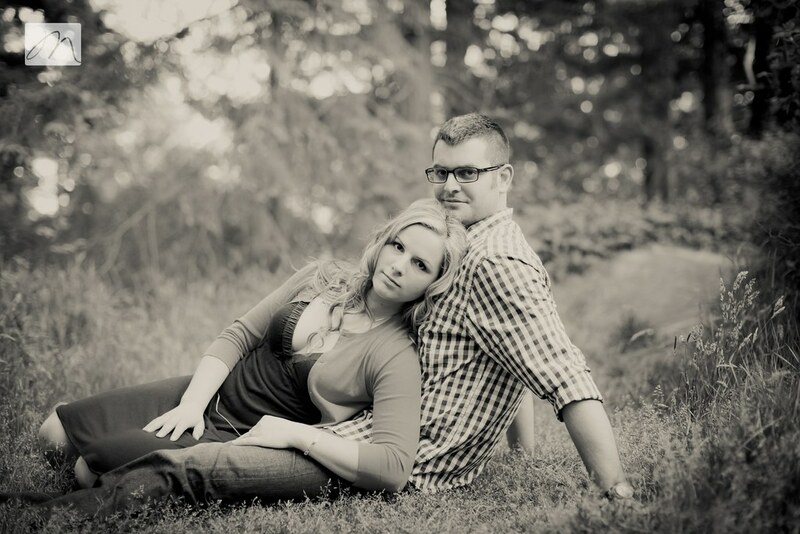 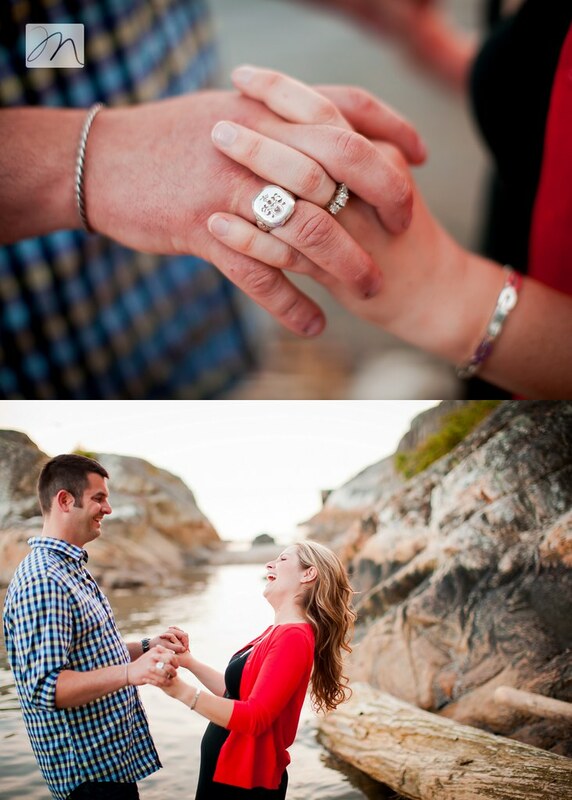 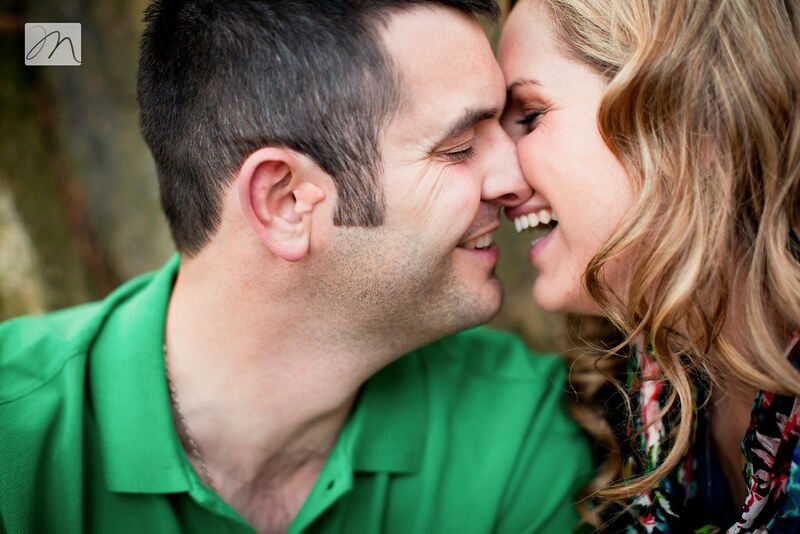 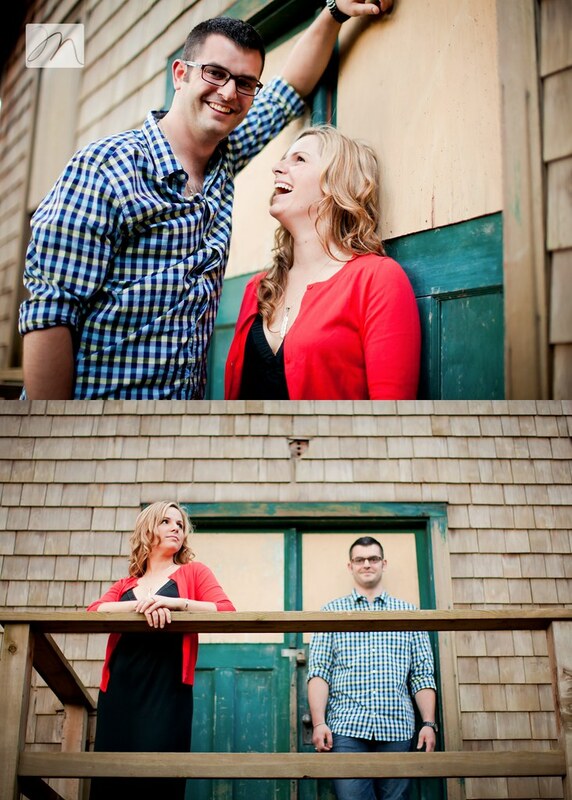 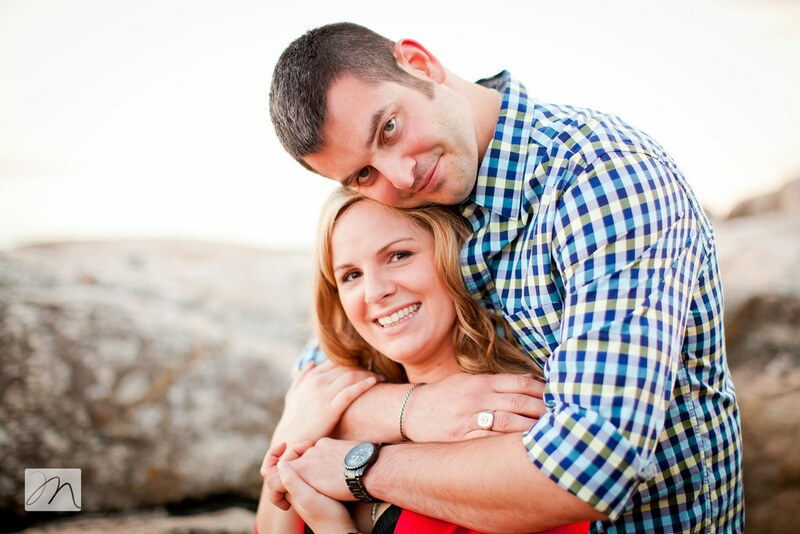 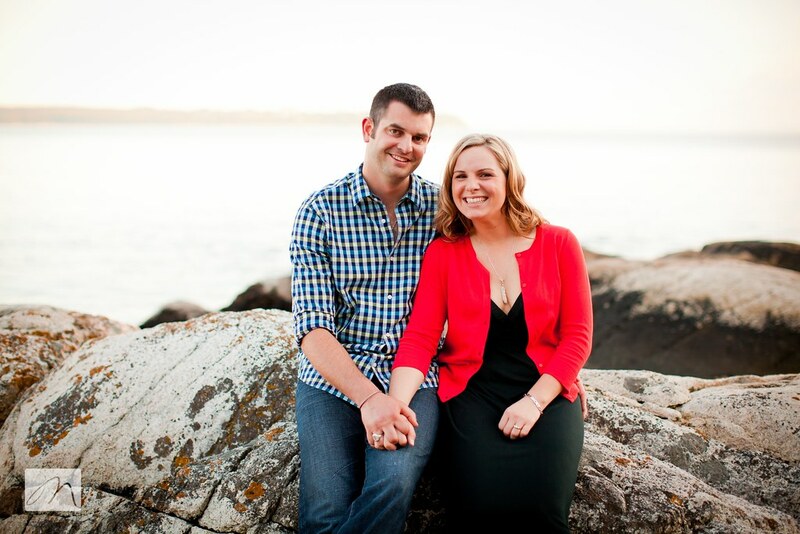 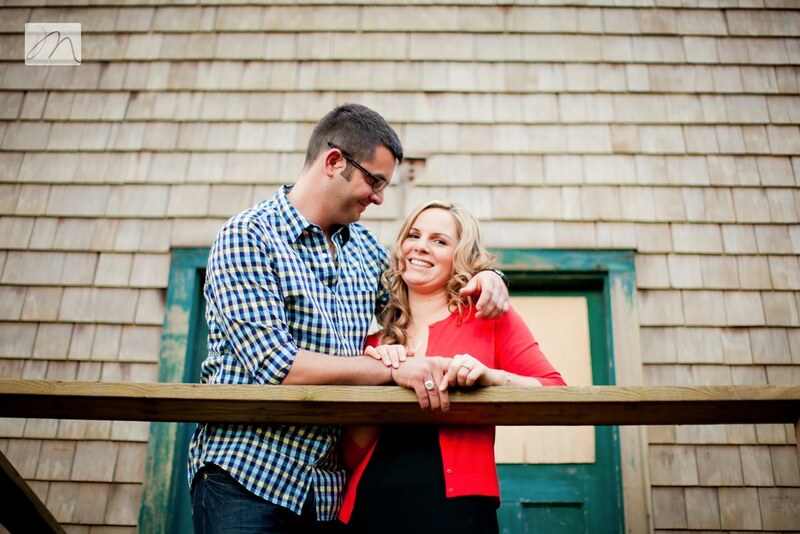 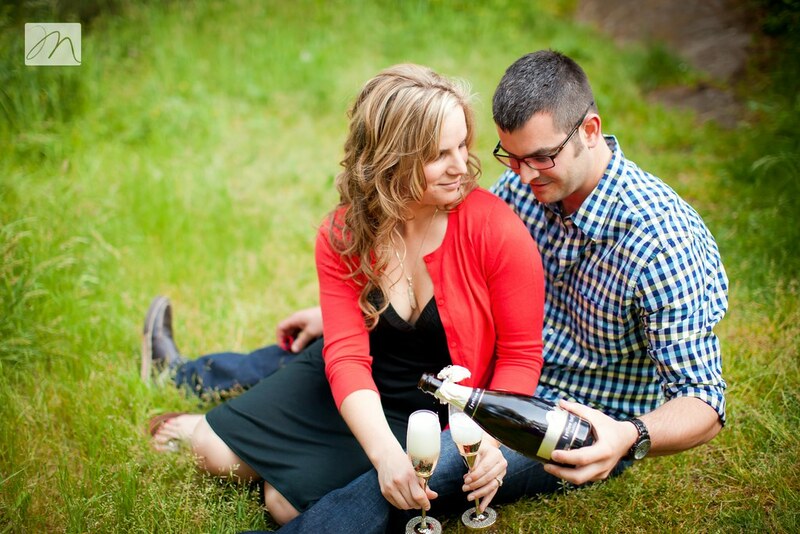 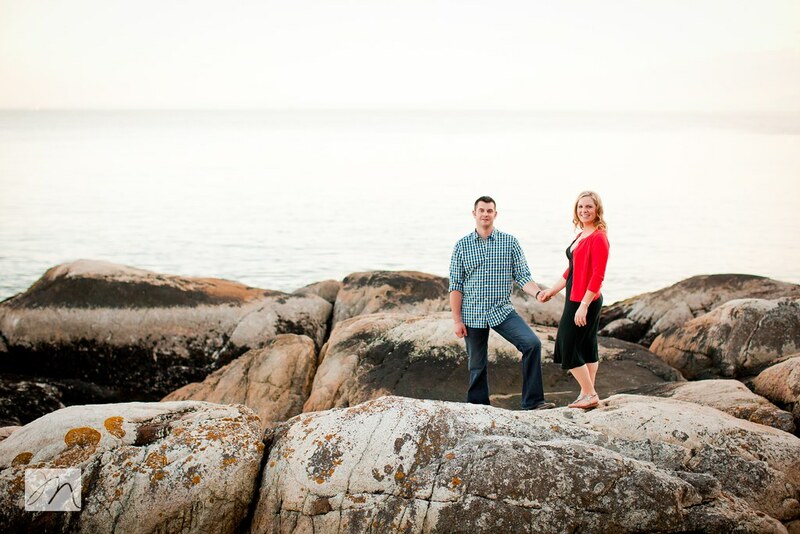 Mat matches Leigh-Ann quite perfectly - he is thoughtful, warm and funny and laid-back. 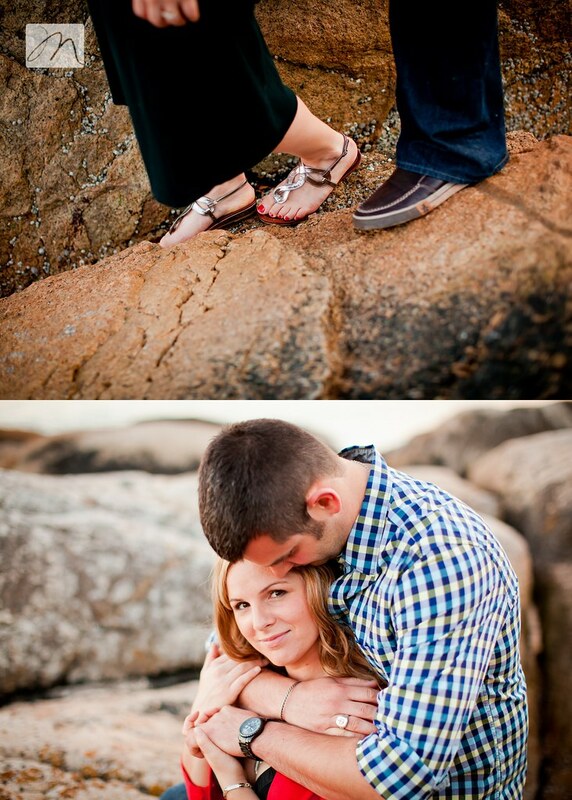 Together, their chatter and affection is easy and genuine. 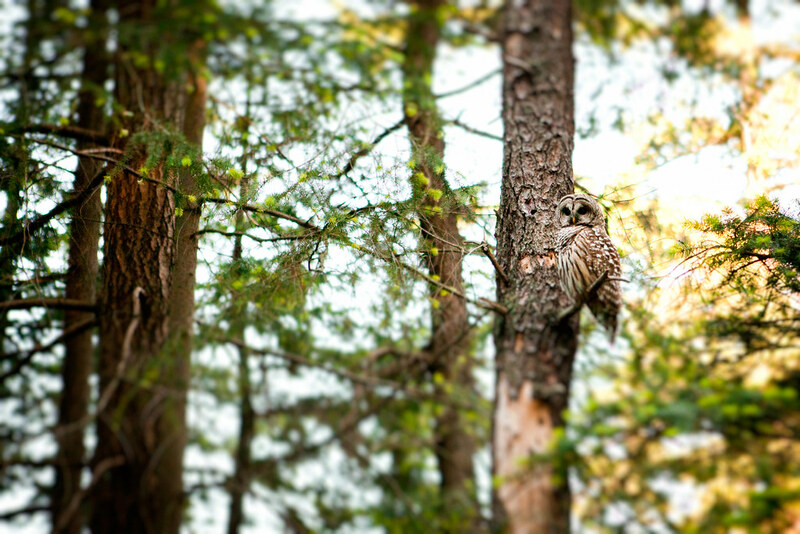 One of the most magical moments of our session was spotting a beautiful owl, as we walked the trails. 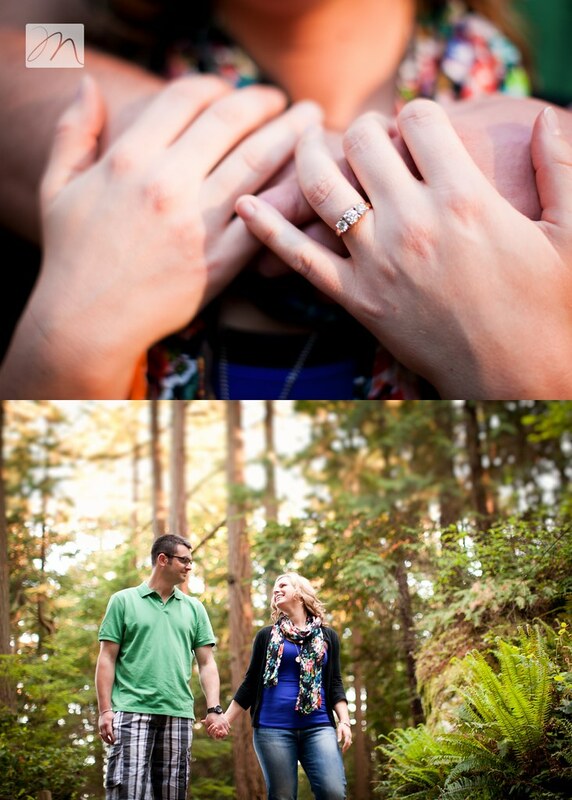 Matt was so excited about it, and made sure to tell others we ran into, to make sure they had a chance to glimpse it too. 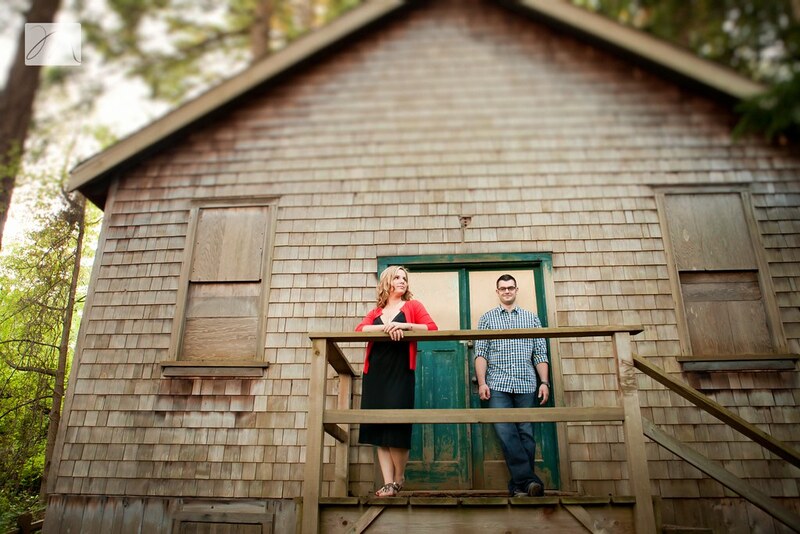 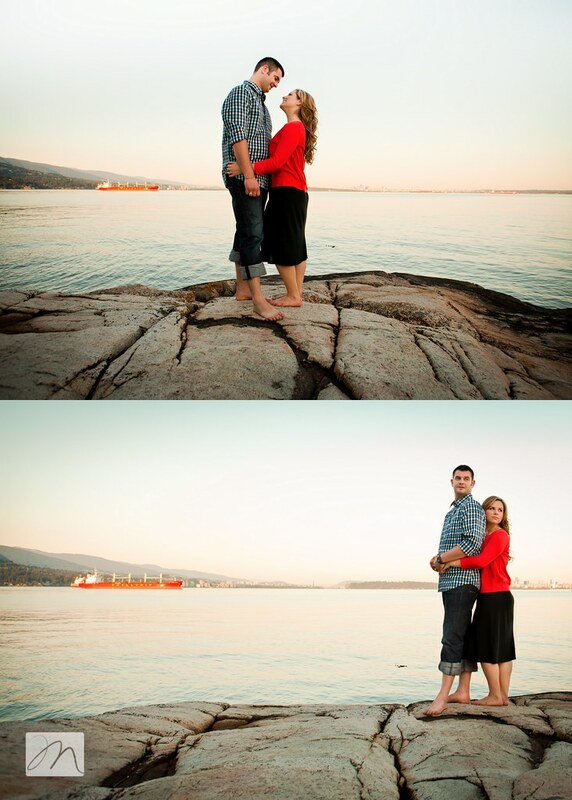 The session took place at Lighthouse Park in West Vancouver and I was so excited that Steve was able to shoot this one with me. 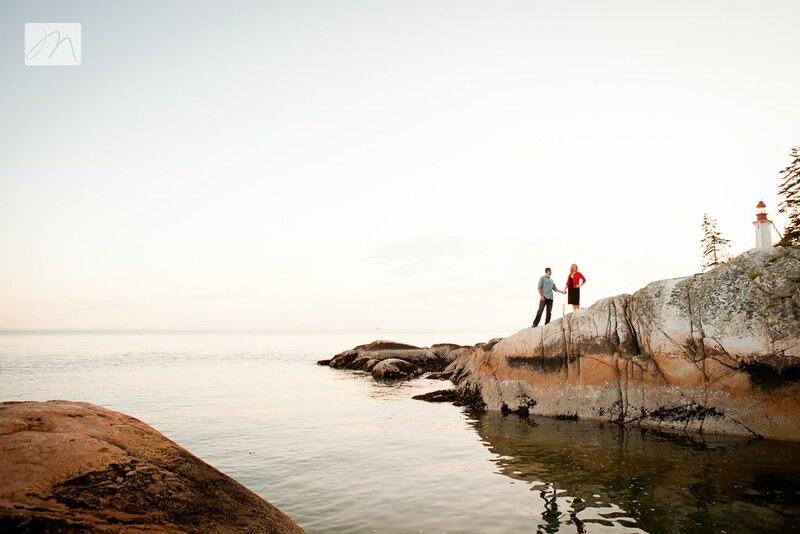 If you have never been to this spot, I highly recommend a visit. 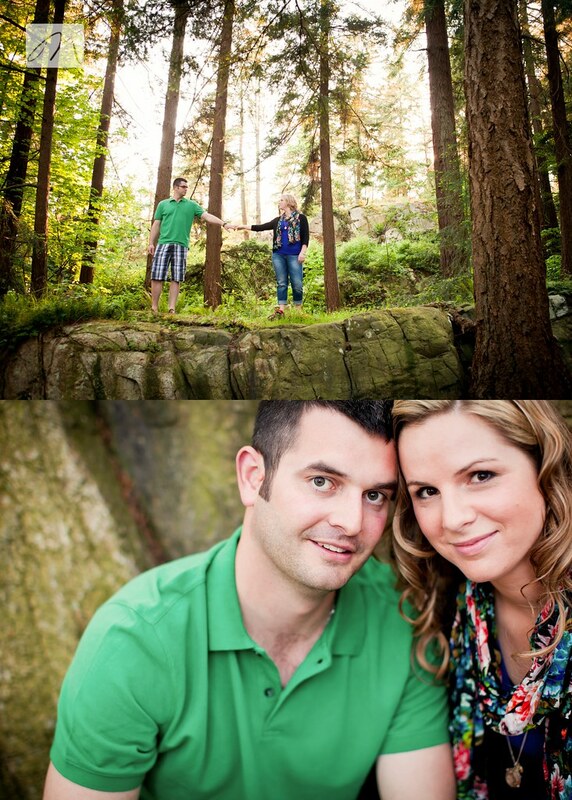 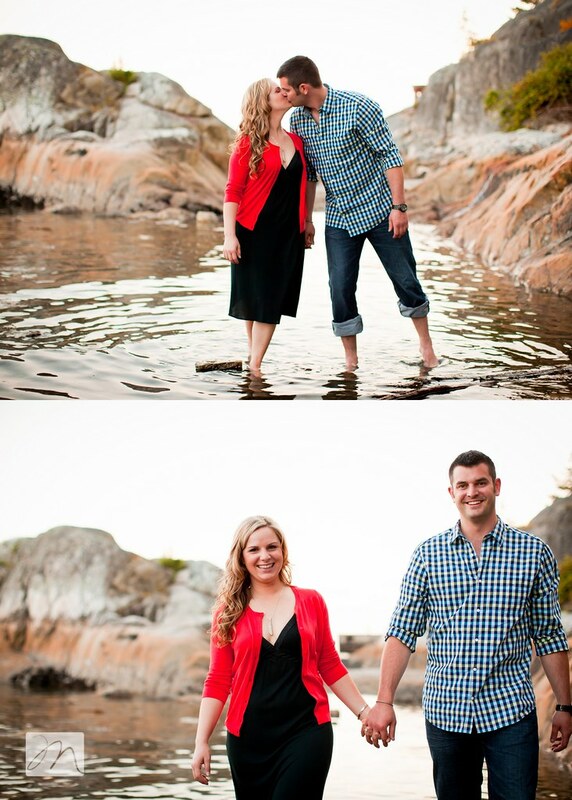 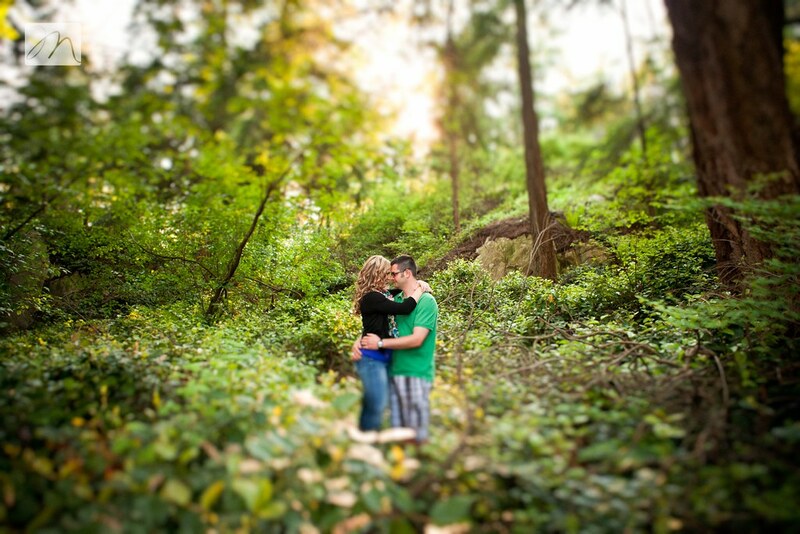 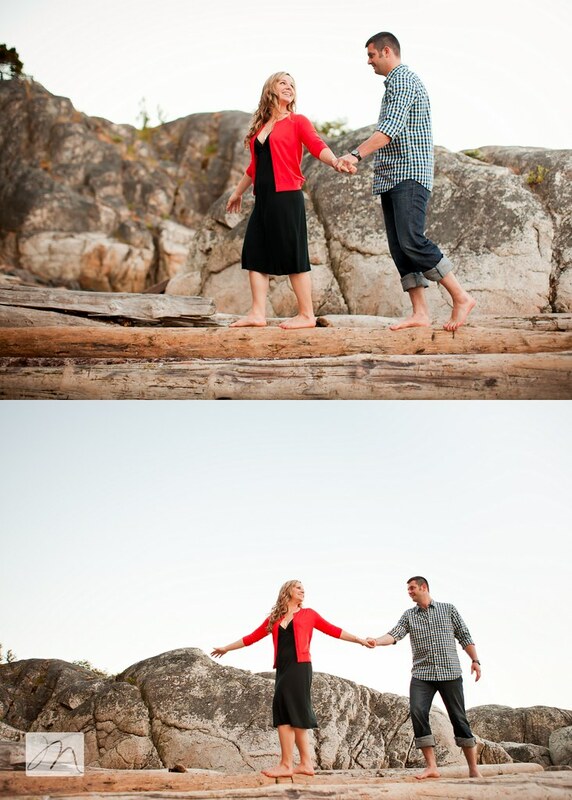 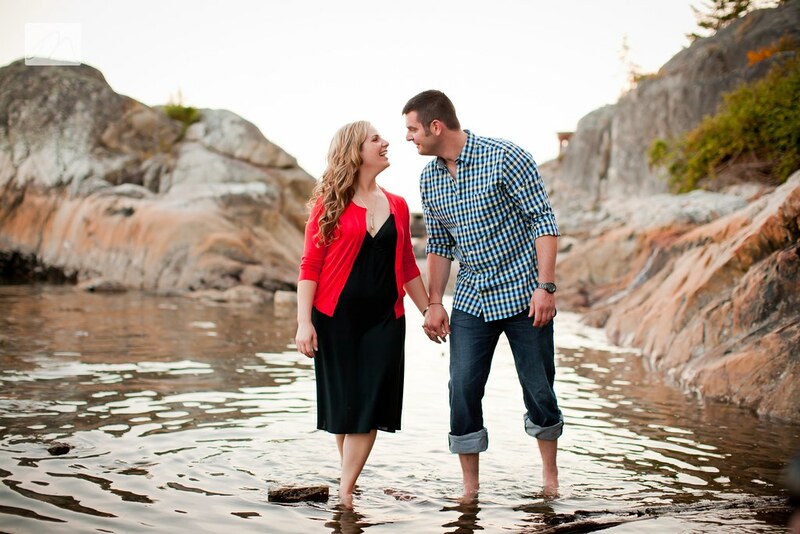 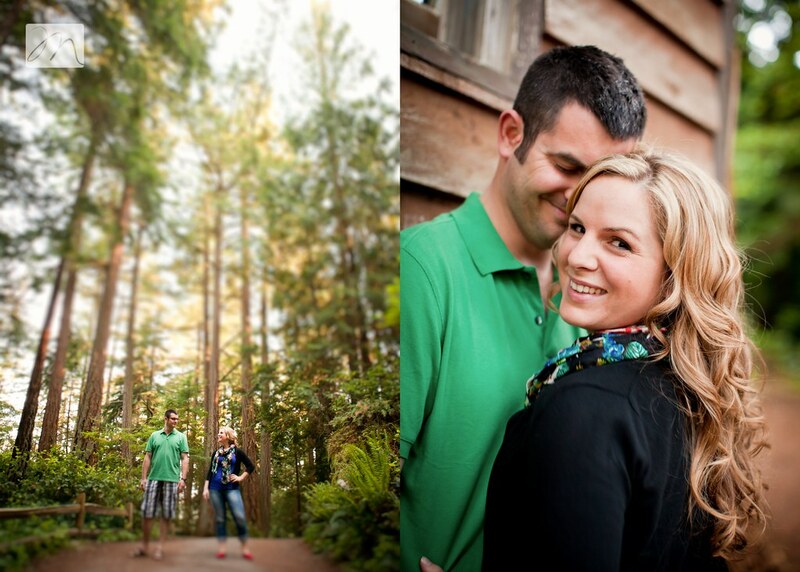 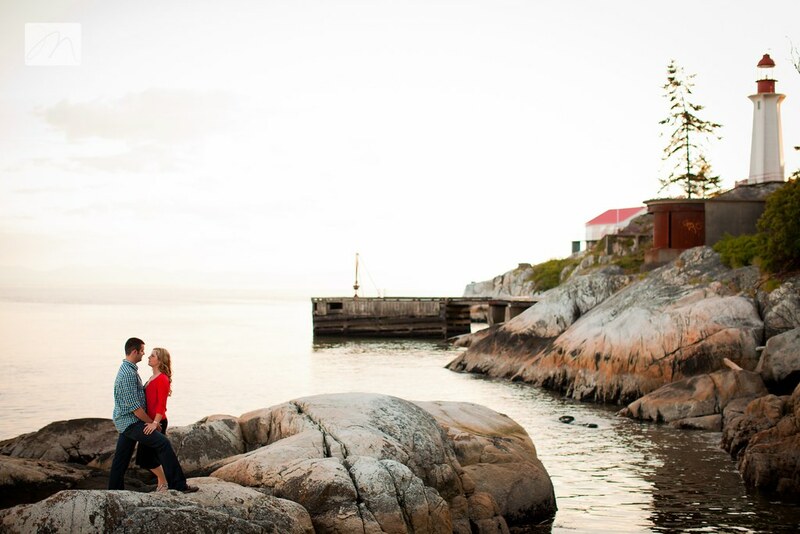 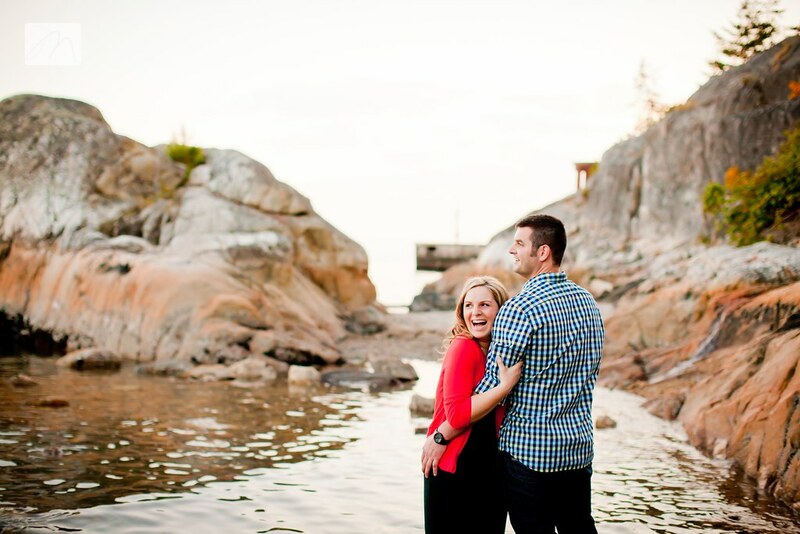 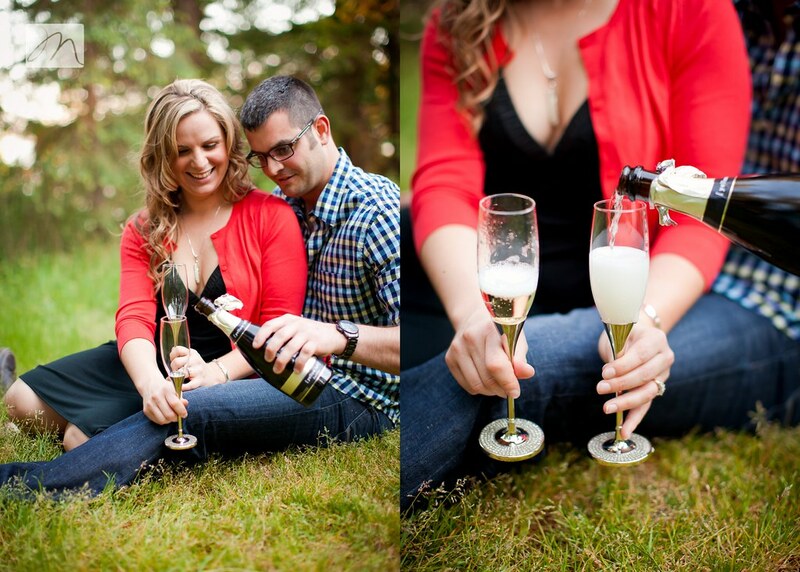 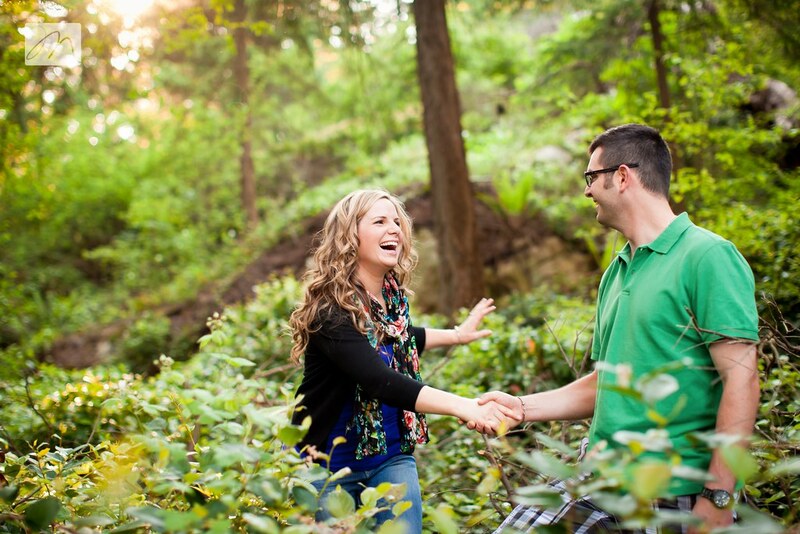 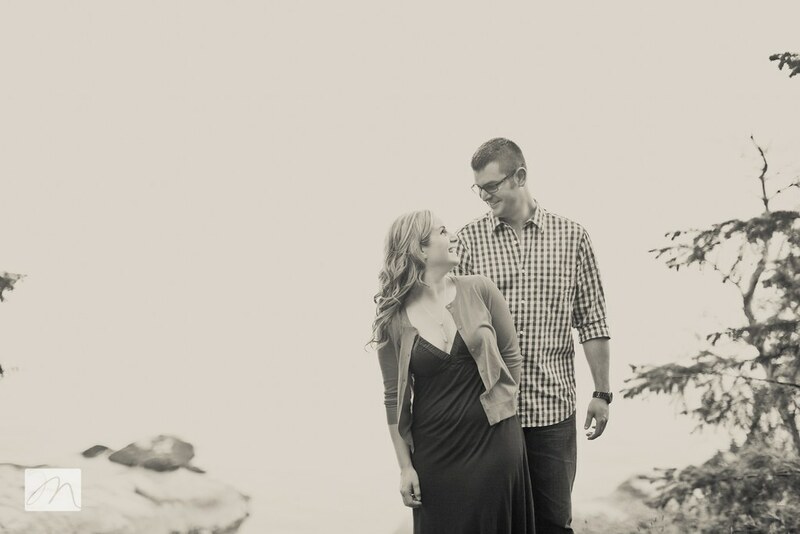 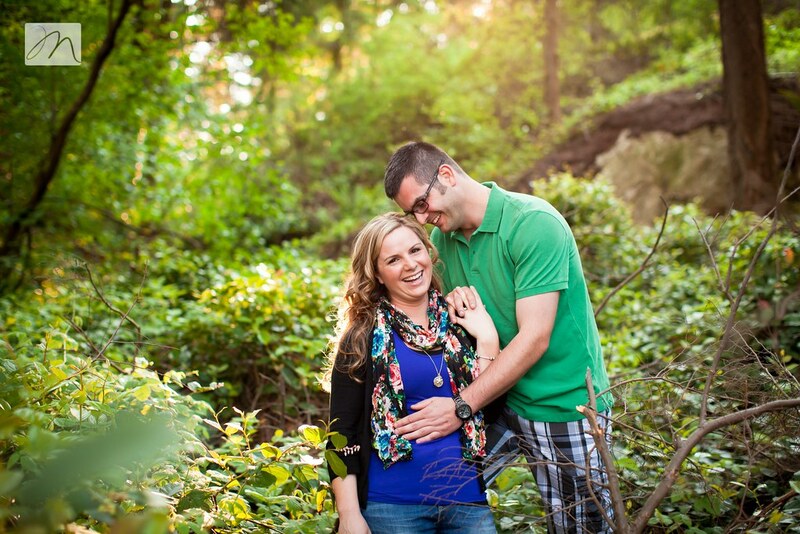 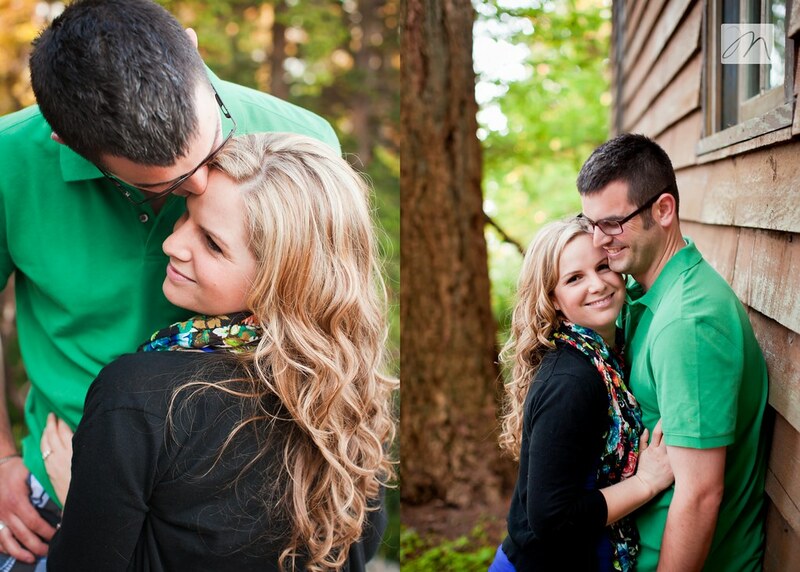 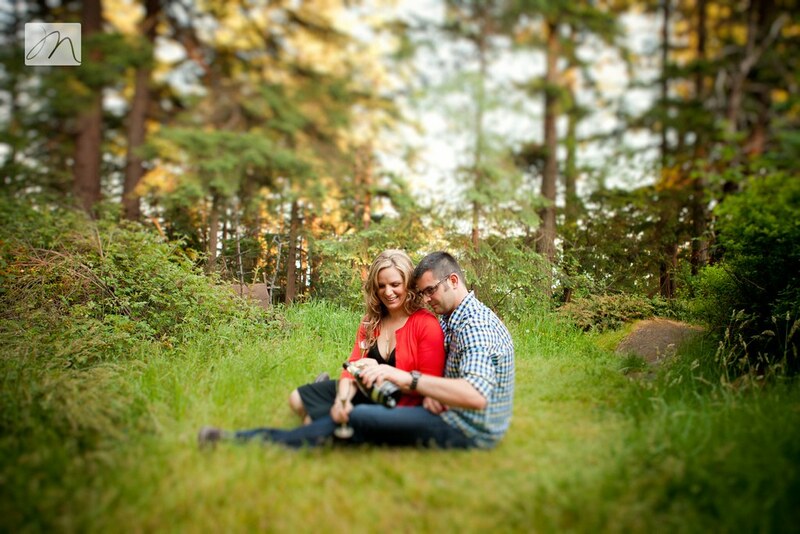 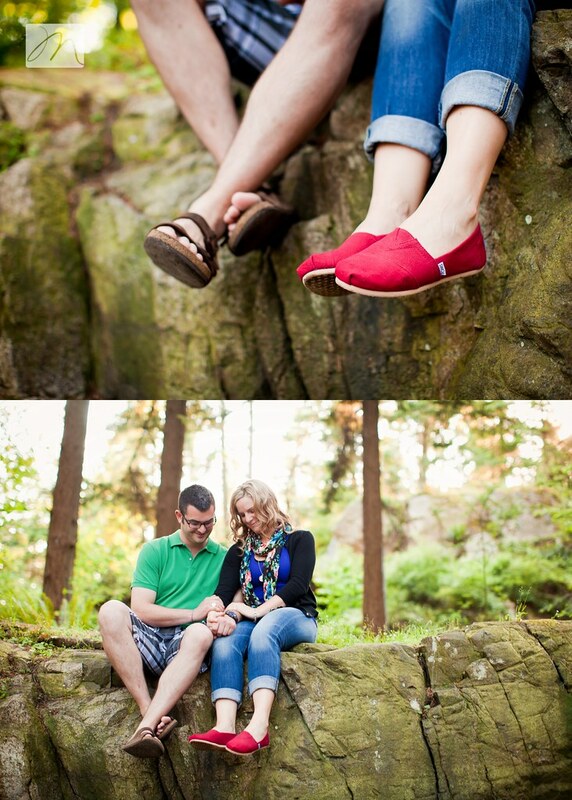 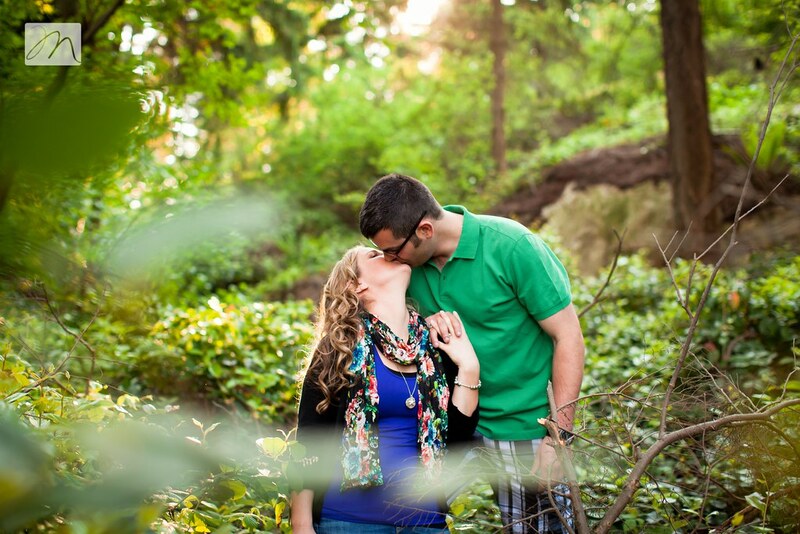 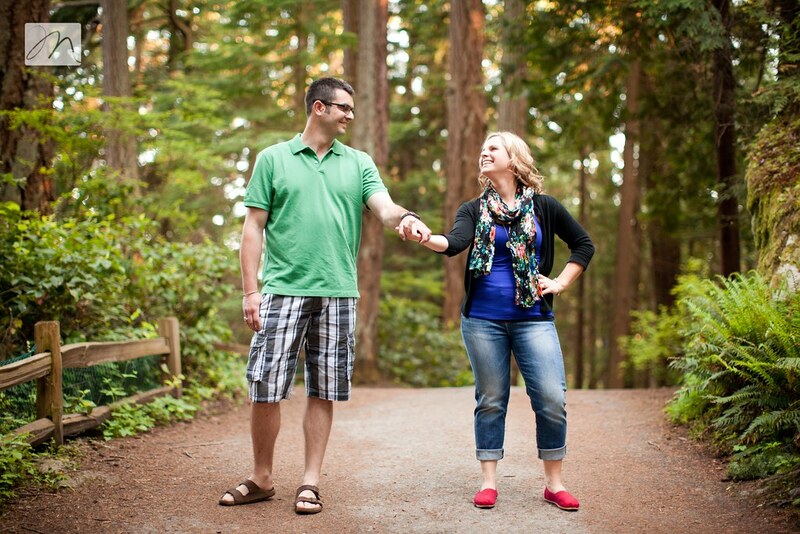 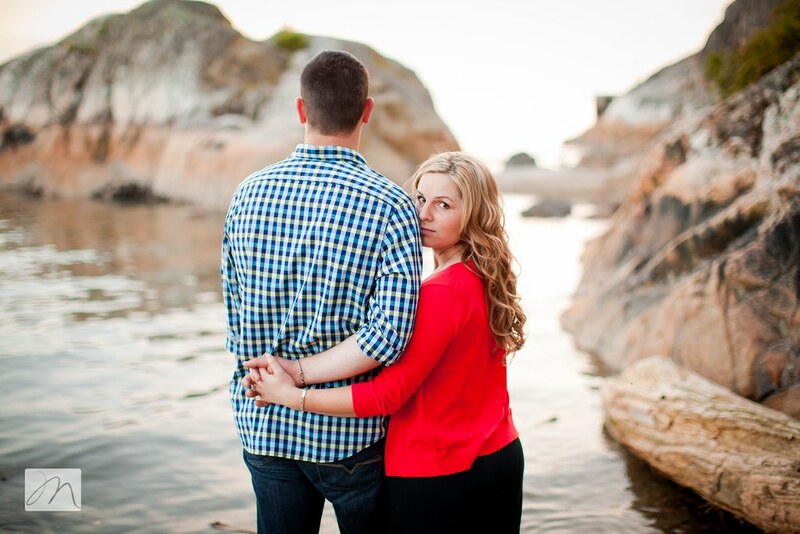 Mat + Leigh-Ann wanted a west coast feel to their session and the park was the perfect choice. 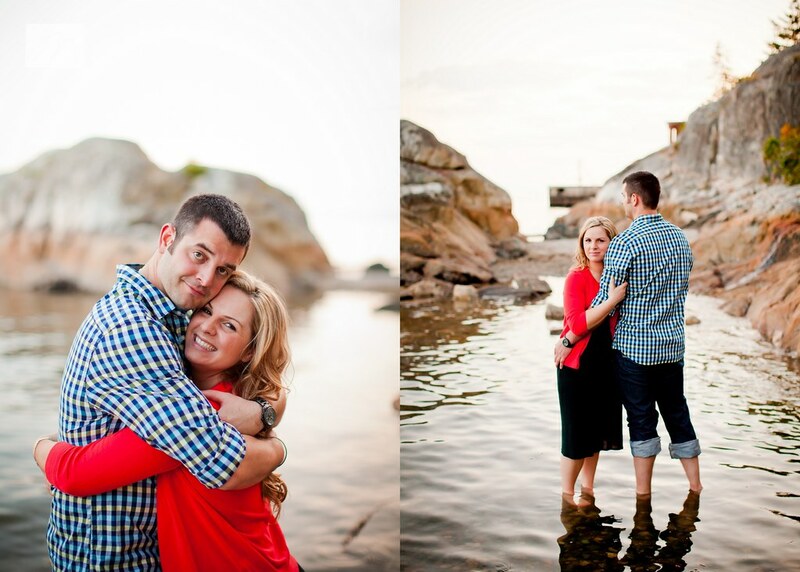 I love all of these pictures and the spot! 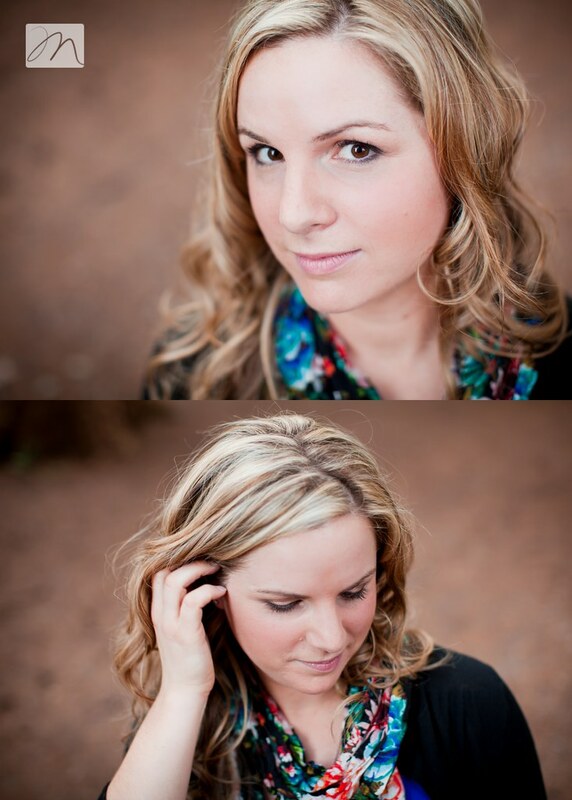 Amazing as always Megan!